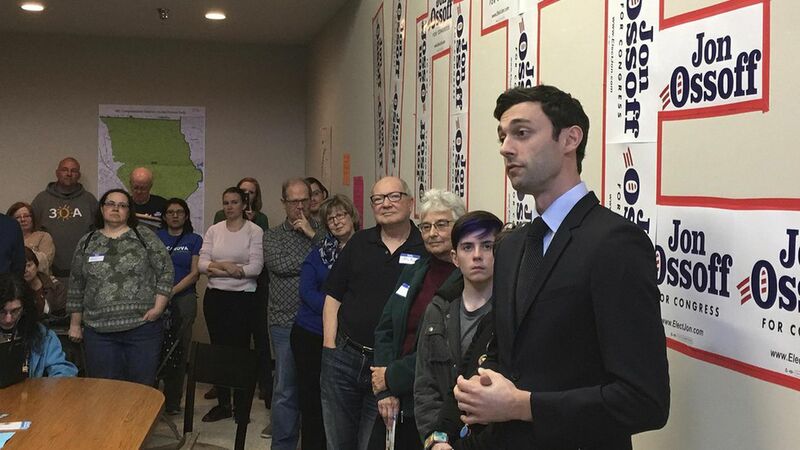 Democrat Jon Ossoff has raised a whopping $3 million for his campaign to fill HHS Secretary Tom Price's seat in Georgia's Sixth Congressional District. That's miles ahead of the $10,000 or $20,000 Dems usually raise in the district, per Vox. Why it matters: The special election on April 18th marks the first test of Democrats' anti-Trump strength, and the first opportunity to chip away at the Republican majorities. Ossoff has a counterintuitive strategy, though. He avoids talking about Trump even though the POTUS is unpopular in the district, citing the fact that everyone knows what's happening in DC already. The caveat: Fundraising aside, Tom Price won the district by 23 points in 2016, and Republicans have held the district since 1979, so breaking into that red streak is still an uphill climb. What's next: Georgia allows every candidate to enter the race at once, and if any candidate gets more than 50% of the vote they win outright. If there isn't an outright win, a runoff follows. As of last week, Ossoff is ahead of the Republicans in the race at about 40%, according to a zPolitics and Clout Research poll.